The year 2016 has ended with a bang with many remarkable events that were, and are still in the minds of all of us. The key events 2016 that shook the world, some good, some bad are presented below for our dear readers. So, without wasting any time, let’s shower some light on unforgettable key events in 2016. On Jan 16th, in the presidential elections in Taiwan, Tsai Ing-wen, a woman candidate became the first woman president in the history of Taiwan. She took charge of her role on May 20th 2016. Jan 16th witnessed U.S lifting Iran’s Nuclear sanctions. Upon investigations, it was found that all the nuclear weapons were dismantled by Iran as agreed upon in the Nuclear deal. Director Spike Lee and Jada Pinkett Smith called for Academy Awards boycott on Jan 18th following the Academy’s failure to include African American actors in nominations. Boko Haram killed 65 people in Dalori Vilage of Nigeria on Jan 30th. According to the locals, at least 100 people were killed with abductions of children. The whole village was burned. Boko Haram evicted 2.5 million residents from four countries. The presence of Zika Virus in the Western Hemisphere was confirmed by Pan American Health Organization. The Zika Virus is supposedly transmitted by mosquitoes and affects pregnant women and infants. On Feb 1st Syria Peace Talks started in Geneva by UN. This was the result of the ISIS suicide attack that killed over 70 people in Damascus. Many countries like USA, Norway, Germany and Kuwait came together to offer over $10 billion aid to Syria. On Feb 1 in 2016’s primary election season in Iowa, Hillary Clinton defeated Bernie Sanders and became the first woman ever to win the Iowa caucus. Taiwan was hit by a 6.4 magnitude earthquake on Feb 6, killing 59 people. But as per reports published at that time, 76 people were still missing and hunt was on to save those trapped under a residential building. 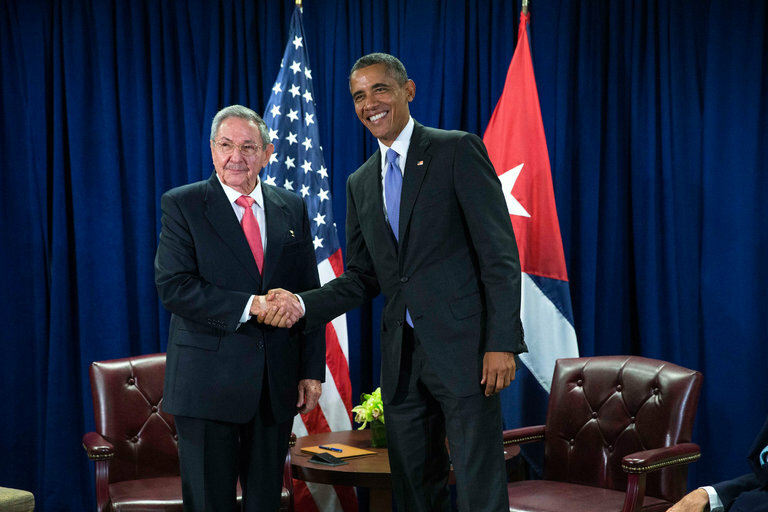 On Feb 18th US President Barack Obama announced his plans to visit Cuba for renewing strained relations with it. The last visit was made in 1928 by President Calvin Coolidge. On Feb 28 Spotlight was awarded the Best Picture Oscar hosted by Chris Rock while Leonardo DiCaprio won the Best Actor for his role in The Reverent. Belgian police arrested an ISIS suspect in the 2015 Paris attack called Salah Abdeslam on March 18. US President Barack Obama made the first visit to Cuba in 88 years. He along with wife Michelle went on the maiden trip and met Cuba’s President Raul Castro for state dinner at the Palace of the Revolution in Havana on March 21. Bomb explosions om March 22 at Brussels airport killed and injured hundreds of innocent people, leading to the lock down of the capital city. People mourned for the victims of the explosions by lighting candles at Place de la Bourse. A psychologically unstable suspect Seif Eddin Mustafa hijacked an EgyptAir flight from Egypt on its way to Cyprus. He threatened to blow it up with explosives that turned out to be fake. He was then caught and escorted by Cyprus police. Here is a roundup of some of the key events 2016 that happened in the month of April and made headlines in all world newspapers and news channels. Take a look at these to know more. The first round of presidential elections were held in Peru. On April 3, the world was stunned by a new term called ‘Panama Papers’ that consisted of confidential documents, leaked from a law firm based in Panama called Mossack Fonseca. On April 3 a tragic train crash stunned the world. Amtrak derailment caused injuries for 35 while killing 2 workers. John Kerry, the U.S Secretary of State made a diplomatic visit to Hiroshima. On April 12 Stephen Hawking, Yuri Milner and Mark Zuckerburg made an announcement of an interstellar project to send a robotic spacecraft to Alpha Centauri. The first U.S citizen was killed by Zika Virus in Puerto Rico. An old man aged 70 years became the first U.S citizen to be the victim of the deadly Zika Virus despite getting treatment for a disease related with Zika called thrombocytopenic purpura.